The latest Cadillac user experience5 provides more ways to interface with the system, including one-touch phone pairing via Near Field Communication and a new rotary controller with intuitive jog functionality. And when it comes to plugging in, all models come with six USB ports2 (two for each row of seats). 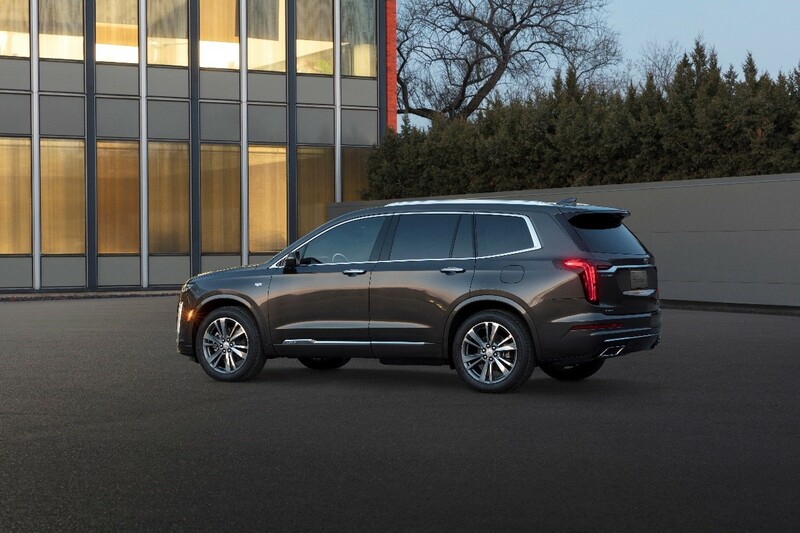 Personalization — user profiles stored in the Cloud6 allow customers to access their custom profile in other properly equipped GM vehicles. Updated navigation7 functionality with natural address entry. 4G LTE Wi-Fi® hotspot (includes 3GB or three months of data, whichever comes first)8. Apple CarPlay9 and Android Auto10 for compatible smartphones. 2Not compatible with all devices. 3The system wirelessly charges one PMA- or Qi-compatible mobile device. Some phones have built-in wireless charging technology and others require a special adaptor/back cover. To check for phone or other device compatibility, see my.cadillac.com/learn or consult your carrier. 5Cadillac Infotainment System functionality varies by model. Full functionality requires compatible Bluetooth and smartphone, and USB connectivity for some devices. 7Map coverage available in the U.S., Puerto Rico and Canada. 8Service varies with conditions and location. Requires active service plan and paid AT&T data plan. Visit onstar.com for details and limitations. 9Vehicle user interface is a product of Apple and its terms and privacy statements apply. Requires compatible iPhone and data plan rates apply. Apple CarPlay is a trademark of Apple Inc. Siri, iPhone and iTunes are trademarks for Apple Inc, registered in the U.S. and other countries. 10Vehicle user interface is a product of Google and its terms and privacy statements apply. Requires the Android Auto app on Google Play and an Android compatible smartphone running Android™ 5.0 Lollipop or higher. Data plan rates apply. Android Auto is a trademark of Google LLC.